Back in 1990, going to Africa seemed the natural thing to do. 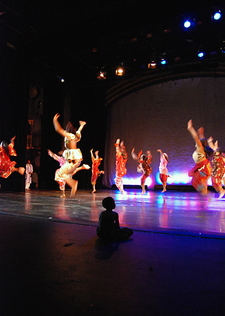 After all, I had been studying African dance in a Manhattan studio for many years and was passionate about it. I should say “addicted”. I would reluctantly miss a class. "I will not come this weekend", I would say to my dancing companions. "Unfortunately, I am invited to the beach." They would nod in sympathy. For they knew, as I did, I would be missing a terrific class or two: the exhilaration, the challenge, the togetherness, the live, electrifying drumming... what was the beach compared to all that? I did know something about the power of rhythm and the beauty of the Sabar Dances of the Wolof of Senegal when I embarked on my first trip there. What I did not expect was “Africa”, the reality of the continent itself. I had so far only seen the dances “out of context”, taken away from the refined ritual that surrounds them, away from the stunning beauty and talent of Senegalese women, the intoxicating smell of “shurai” perfume, the sounds of the Wolof language that fill the air with a special vibrancy, in a word, the “atmosphere”. The first Sabar event I attended was an overwhelming experience that filled me with admiration and awe. When a Sabar is announced in Dakar, Senegal’s capital, some chairs are brought out to the streets and set up around a rectangular space. Things thereafter build up slowly. Then, mysteriously, the space starts filling up. Drummers appear, the whole neighborhood comes out. Superbly attired women slowly make their entrance and with appropriate nonchalance, settle around the dancing circle. There they remain composed, perfectly still, almost imperial, until the drumming changes it all. When the dance starts, they get up in turn, impatiently discard their fashionable high-heel shoes and with incredible exuberance enter “Guew bi”, the dancing circle. They move towards the drummers and playfully perform wild, breathless dance steps, improvise unexpected variations or a hip movement that delights the crowd, and go back to their seats. I was totally taken. I liked everything about the dancers: their control, the way they moved with unselfconscious grace; the way they left the dancing circle with casual disdain even after the most provocative steps; the way they kept rearranging their beautiful “boubous” around their shoulders as if it were part of some unwritten choreography. Sabar dances involve intricate, fast, high spirited leg and arm movements but the dancers always seem to deliberately hold their heads up high, thus projecting inner calm and dignity. Rhythms change, dancers go back and forth the whole evening, challenging and being challenged by drummers. And then, unpredictably, the drumming stops. The crowd disperses. Soon, there is no one left in the “Guew”. Of course, I was too awestruck to dance that first time. But later, I did. The Senegalese welcomed it as a sign of my appreciation. I was indeed forever indebted: Africa had changed my life. Want to see a Sabar dance? 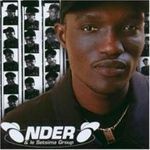 Check out these videos from YouTube.... direct from Senegal! Jalila Bell wrote a beautifully emotional essay where a special performance brings the history of her people and the spirits of her ancestors to the present day. By Jalila A. Bell, Esq. On June 21, 2006, I had the privilege, honor and distinction of participating and performing in the Opening Day Concert and ceremonies for the 74th Annual Jacobs Pillow Dance Festival with my wonderful colleagues of the Vissi Dance Theater. As a dancer, an artist, a woman of color, an attorney, and a descendant of slaves, I was truly honored to walk the hallowed ground of the Pillow and to Dance on freedoms land. Jacobs Pillow has been a leader in dance presentation and education since its founding in 1933 by dance pioneer Ted Shawn. But Jacobs Pillow is more than a sacred place for modern dance, an ode to modern dance pioneers; it is also a historical landmark, a stop on the Underground Railroad. 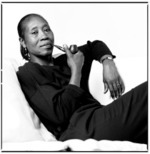 It is therefore fitting that Vissi Dance Theater would perform the three excerpts chosen; Run Thunder Run, an except from The Hoarde (2005), The Runaways, an excerpt from Amazing Grace (2004), and lastly Juneteenth, also an excerpt from Amazing Grace (2005). All three of these pieces deal dramatically with the themes of slavery, fear, oppression, transcendence and freedom. Each of the three in their own right is a technical masterpiece worthy of merit. Performing these pieces in this venue was overwhelming for me, both physically and emotionally. For most of the bumpy- curvy three- hour ride home, I huddled in my seat of the caravan, sobbing uncontrollably. As a dancer, I felt wholly unsatisfied by my failure to achieve the unobtainable perfection, the precision of technique, the liminality to overcome my numerous costume malfunctions. 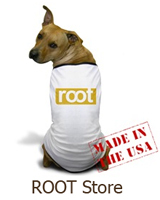 As a woman of color and a descendant of slaves, I was humbled and overcome by a profound bone- deep sadness. For many of the bun-headed, suburbia- originated students of Jacobs Pillow, the graying baby-boomer audiences of the Festival, and the dance- press aficionado who attend to critique the international works presented, the Pillow is a haven, a utopia in the midst of increasing urban chaos. For me, it was a quiet, pastoral place, serene and unreal, charged with the frenzied, harrowed, and desperate energy of my ancestors. I was discomfited by the knowledge that my ancestors had tracked up those same bumpy curvy hills on whence we road. They were mostly on foot, often times barefoot, and tracked by vicious killers and bounty hunters, even hunted by dogs, with visions of horror and thoughts of lost family to accompany them. I wondered what the Pillows bun- headed ballet protégé understood of this, and whether they too could feel the sorrow and the anger surrounding the site. Far too many times over the years I have watched the children of the privileged exist untouched by the bowling realities of history, silently buttressed by the blood spilt from others. I could not help but to wonder how many descendants of slaves are able to experience the Pillow and all of the culture and history it has to offer. I can only hope that the Pillow will continue to invite companies like Vissi Dance Theater so that we too may share in the rich legacy of its founders and the blood history of the land. I have been invigorated by this experience, a religious rebirth of sorts it seems. I have a newfound sense of place and purpose both within the history of dance, as well as within the history of our country. Dancing is my passion. I have been dancing professional for over ten years, however, I am also a practicing attorney. Dance is my freedom, my true self, my calling, but I have always known that I have a responsibility to use my voice in its most- largest meaningful sense, to be more than a simple entertainer. After having taken to heart the maxim that the personal is the political, I chose to practice these honored professions simultaneously for maximum personal effect. Moreover, it is rare that dance becomes a viable means of self support where the descendants of slaves are concerned. It is mostly the children of the privileged who have the means and the network of support to pursue an economically viable career in dance. Conservatories like the Pillow do not come cheap, and choosing to honor your calling as dancer many times results in a life of relentless poverty. With that in mind, I am also an attorney because it pays the bills. That is, once I am done paying off the student loans, that modern day version of buying my freedom or sharecropping then being an attorney will pay the bills! Vissi Dance Theater is my artistic home because Vissi understands the need for we dance artists to have vision, to be educated, to cross realms, and to take our craft as seriously as death and taxes. Like Harriet Tubman taking the runaways pon de Jacobs Ladder to freedom, we at Vissi strive to transport ourselves and our audiences to a realm of higher consciousness and productivity. I am sure that all of my colleagues at Vissi will agree in feeling honored to have been part of the 74th season at the Pillow. We only hope that when we come a-knocking with that secret password, deys lets us bak in. Where are the dancers in your company from? Most are from America, their average age is 24. Many are groomed for performing from apprentice programs at school from when they were teenagers and earlier. This includes the drummers of the group, except for the director, of course. They start in the school program and then are moved up into the company. Drum and dance is an inseparable relationship. Communication has to occur in African dance as the drum is a language and the dancer understands that language. At some point the drummer talks to the dancer and then the dancer gives the signal. After both have communicated, they come together, and then the event occurs. It is about dynamics and communication as it happens. One must understand the drum language to let the music come into your body. It must enter the dancer's body, and then the dancer exhibits that translation through the movement. What is the theme of Diamano Coura's new performance: Jusat: Past, Present, Future about? It is the story of connection between Africans and Afro-Americans. We hope to get audiences to think about the greater picture and to go back to old ways. For example, a council of elders would settle conflict instead of wars. Jusat covers Africa's Golden Age to the trans-atlantic slave trade to the current situations in Africa. We go back to African ideals to form a solution for the future. We've compiled a brief list of must-haves for your African music collection. Some introspective, some body-moving, all world famous and can be considered the 'standards' of the world-beat enthusiast. Fela Kuti: Nigerian pioneer of Afrobeat and human rights activist. 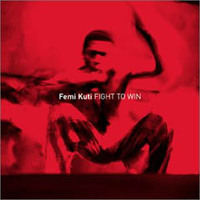 Femi Kuti: Eldest son of Fela Kuti continuing in the form of Afrobeat music and activism. 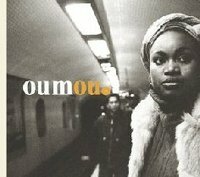 Oumou Sangare: Mali's greatest feminist, singing in the form of Wassoulou from Southern Mali. Baaba Maal: Senegalese singer and activist. Youssou Ndour: Pioneer of popular music in Senegal and considered one of the greatest singers in the world. 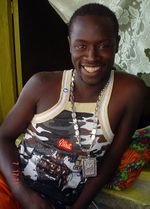 Habib Koite: From a noble line of Khassonké griots, guitarist from Mali breaking records in world music record sales. Salif Keita: Internationally recognized afro-pop musician from Mali. 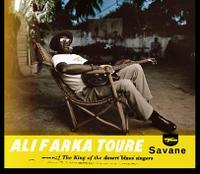 Ali Farka Toure: From Niafunké, in the semi-desert region of Mali, a unique solo artist who channeled the blues. and.... Rokia Traoré: while still relatively unknown in her native Mali, Rokia's music is well known abroad and combines sounds of the various regions of her homeland.